This was originally posted on Salesforce’s Quotable Sales Blog. Instead of doing what I wanted to do — go home and forget all about it — I decided to take action. I spent my Friday night in the office. I started by writing down reasons why I believed I was off track. With a podcast playing in the background, I had my light-bulb moment that there are tons of people likely willing to share advice. 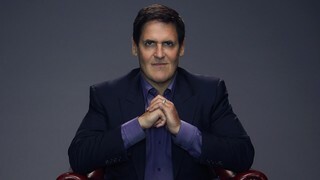 The podcast I was listening to featured an interview with Mark Cuban, someone I deeply admire. So I decided to email Mark Cuban and tell him my story. A pretty in-depth look at where I was as a rep, my struggles, and a plea for some good advice. No chance he’ll respond, right? Wrong. Within 5 minutes, I see his name pop up in the bottom right corner of my laptop screen. It’s 9 p.m. on a Friday night in Dallas, and he’s taking time to respond to me. Wow. His response, though brief, guided me on a track to recover from a missed quarter and finish with the best sales year of my career. So what did Mark tell me to do? My meetings for the day are fully prepared for. I know the agenda, the most favorable outcome, and the questions I will ask the prospect and customer. I’ve read their recent press releases and past call notes and know about their business needs. I have also given all of this information to anyone joining me in the meeting. I have time planned in the morning to outbound prospect. This means that I know who I’m calling and what my “hook” is for them. This is usually an hour blocked off on my calendar in the morning. During this time, I don’t respond to emails, I don’t check social media, and I don’t take a snack break — this is extremely valuable time for any rep. I know the situation of every deal in my pipeline and have a plan for at least one thing that I’m doing to influence each deal every day. It can be a traditional play like an email that delivers value or a more creative attempt to connect on social. You have to do something. Preparation alone can turn a brand-new rep into an all-star. It doesn’t matter how long you’ve been in sales or how frequently you hit your quota; there are always improvements to be made. Mark’s advice led me to audit myself, which ignited two major changes for me. The first change started when I looked through my calendar and sold revenue for the last few months. I noticed that there were three customers who drove 70% of my revenue, and those three customers only made up 38% of my meetings that quarter. See the disconnect there? As part of my planning process, I focused more on the 80/20 rule. Try performing this exercise and see if you’re spending your time in the right areas. The second change originated from an exercise of listening to my own sales calls with our entire team. It was painful to listen to. I was using crutch words, I talked for 70% of the call, and I didn’t ask any good questions. No wonder I was short on my number. Among other reasons, this led me to launch a podcast with my colleague where we interview leaders on how millennials can fast-track their personal development. This has helped to hone my question asking and to be precise with my language (though still a work in progress) and has allowed us to have conversations with U.S. Olympians, CEOs, former pro athletes, and best-selling authors. Audit yourself and understand where you can improve in your sales process. I’ve heard Mark talk about “getting paid to learn” a few times in interviews. What he means by this is that as a younger rep, you shouldn’t be afraid to take chances and make mistakes. Try using video, asking new questions, and sending handwritten notes. Don’t take it personally when you are told “no,” be resilient, and keep following through. You’re going to make a lot of mistakes, but the key is to learn from failure. You either win or you learn. In the nine months following Mark’s email response, I have had three of my strongest sales quarters to date. Numbers aside, I feel more comfortable and confident in my ability to bring value to my customers. This level of comfort and confidence releases pressure and has allowed me to build really deep relationships with several of them. To this day, I continue to put a heavy emphasis on planning, self-improvement, and learning. No matter where you are in the quarter, try taking some of Mark’s advice and see your results grow. I’d love to hear about your story below in the comments! Want To Bring Your Game To The Next Level?